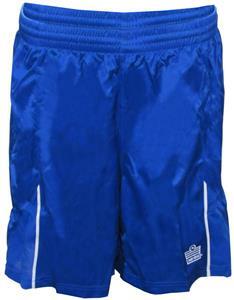 Admiral Pulse Sheen Soccer Short - Closeout. Covered waistband with inner tie cord. Unlined. Piping. Admiral Logo on lower leg. 100% polyester Top Selling Item. Waist - Measure around your natural waistline. If you think that you are between sizes, order next larger size. Hips - Measure around the fullest part of the body at the top of the legs. Absolutely Awesome Training Shorts! Light weight and so breathable its like wearing air. Bought 2 pairs and I LOVE them! Amazing Price! Amazing Product! Amazing Service!